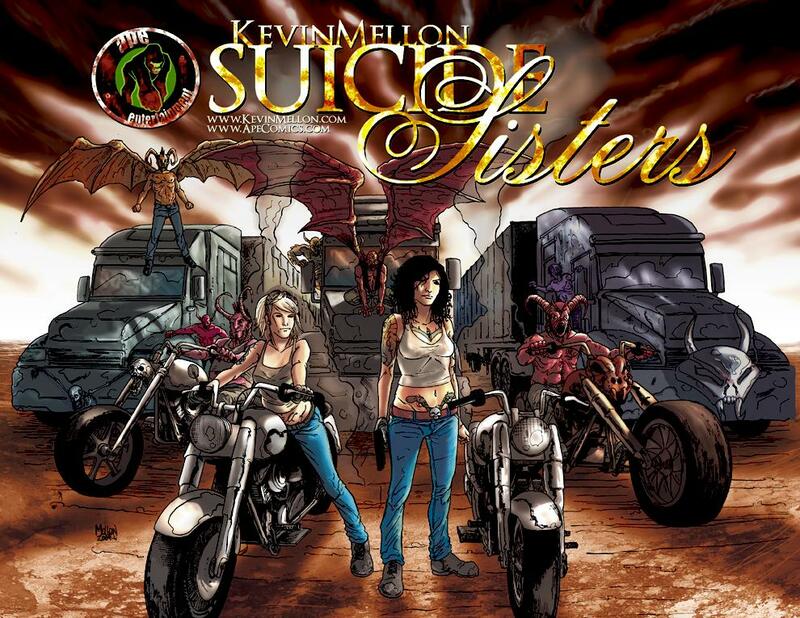 Coming from APE Entertainment in early 2010. This promo poster debuted at Chicago Comic-Con in August of this year. For those of you following me throughout the last few years or so, you know that I've been working on developing this book actively since August of 2008. It's been a concept I've had since early 2008. Dora (Pandora, dark hair) and Cora (Corazon-Jade, bottle blonde) are two sisters traveling across Texas, fighting demons and tracking down the Devil so they can get their souls back. A mysterious, absentee ex-preacher father, a gun with no bullets that kills only demons & the Hell's Angels all come into play on their dark road-trip. 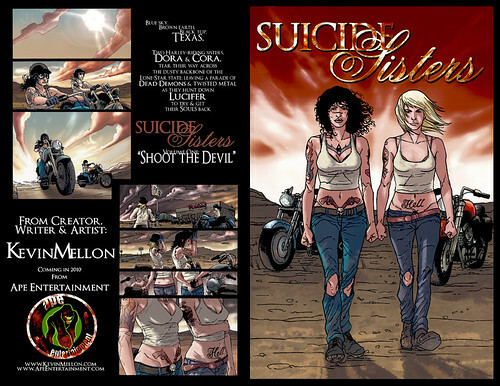 The below is a Preview Ashcan that Debuted at PROJECT: COMICON in June of 2009, show-casing a portion of the development sketches as well as the first 10 pages of Suicide Sisters, Volume One: Shoot The Devil. Thanks for bearing with me on this post, back to regularly scheduled nonsense later this week.